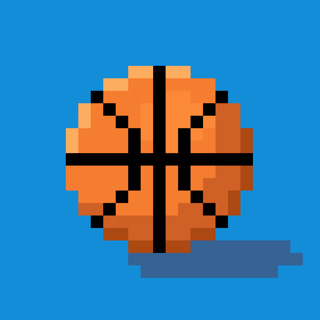 This is like the app Pixel Punchers but of higher quality. It’s has character customization and you can upgrade you skills and you can schedule fights with any opponent of your choice. It also has your fight stats from your fights. But the best details are those that go unnoticed and that’s the cool judging Ai’s that judge the fight, if the round was close then the judges will have different scorecards where on other games the judges all miraculously agree. This game is a mixture of Punch Out and Fight Night: Champion!!! This game has barely any problems. However, I would like to see my full fight history rather then just my last 10 fights. Also I believe the time on how quick you beat some is messed up when you look at the fight history. It would also be more interesting to add more opponents and give them better records then the preexisting ones. Keep up the quality work! Regarding the fight times in the fight history, it's actually displaying the final time remaining and round rather than length of fight. And if you manage to win the championship and retire, the opponents will be a bit more challenging the second time around. Stay tuned for more updates in the near future! Punch-Out for a new generation! I’m fairly young by today’s standards, but even I remember the original Punch-Out!!! games. This game is extremely faithful to the series, but at the same time, is it’s own game, giving you the ability to create a character and edit his skills. The controls are a little odd at times, and I often accidentally swipe when I mean to punch, but that adds to the challenge of the battles, so I’m not really complaining about that. All in all, a classic formula has been updated by a (very) talented game creator for the next generation of gamer. The gameplay, the career mode and the fact that you can even customize your opponents, your ring, and your fighter. The game is fairly difficult when you reach mega weight and I’m fine with it. The micro transactions aren’t bad actually, you sometimes forget they actually exist. What bothers me: I don’t know about you guys, but I can’t connect online. I’d like a few more customization options like a hoodie or sweatpants as a clothing option so I can make the iconic pink sweatsuit. I’d also like for a vibration option when you press the buttons so I know I actually hit the buttons. Because sometimes I press the virtual buttons and I get hit. Overall: The gameplay is fun, micro transactions aren’t too in your face, maybe a few more clothing options, maybe it’s just me when I can’t connect, and maybe add a vibration option for when I press the button. I really do love what this persons done with a game like this and I hope I see this game grow and become bigger. I appreciate the detailed feedback! Regarding online, there aren't too many active players on iOS at the moment, however, in a future update I will combining the servers for Android/iOS so that both devices can play together. This will increase the chances of matching up with another player online. I will also be adding more customization options soon and consider adding vibration feedback on button presses. Thanks for playing! © 2019 Koality Game LLC.